Martina and Simon are a young, married Canadian couple teaching English in Bucheon, South Korea. The adventurous duo have a website called Eat Your Kimchi, and a YouTube channel devoted to documenting their life in a foreign country. A recent episode had them visiting the Hello Kitty Café located in Seoul, South Korea. It's cute to watch Martina's unbridled enthusiasm for all things pink, in contrast to Simon's disgust over the whole ordeal. 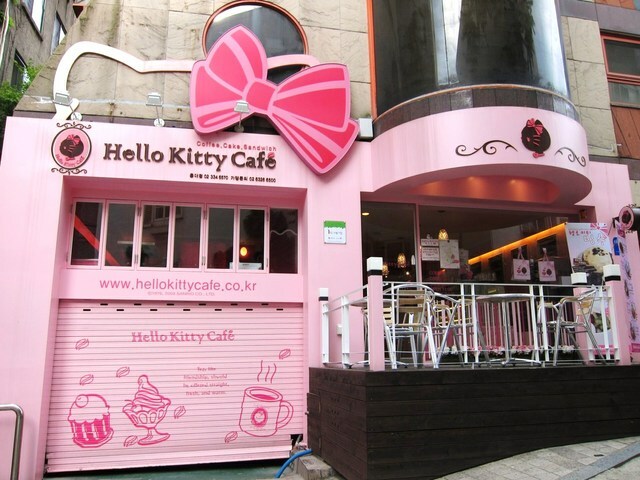 While the café features adorable Hello Kitty Lattes, pink ice cream sauce, and a dizzying all-Hello Kitty interior, in the end the couple were disappointed, describing it as a "cramped cafe full of Hello Kitty paraphernalia." No matter, if I ever found myself in Korea, I would still definitely check it out! Watch the video above for more!